This article was originally written by Vikas Bhatt and first appeared on Marketo. Marketing and sales team are active players in the blame game. While the sales team thinks the marketing team shared only contacts (read, unqualified leads), the marketing team blames the sales team for not being able to convert all the excellent qualified leads they hand off. According to MarketingSherpa, 61% of B2B marketers send all of their leads to sales even though only 27% are actually qualified. Not only this, sales reps ignore 50% of the marketing leads according to a study by the TAS Group. Wondering why the percentages are so high? Because there is a lack of shared understanding of what a qualified lead is. Each team works on their own definitions which not only creates confusion but results in frustration and lost revenue. In this blog, I’ll cover what makes a lead sales qualified, how these leads fit into the buyer’s journey, how to score your leads, and more. Not understanding the difference is one of the main reasons marketers end up spending time on unqualified leads who don’t want to be sold. MQLs show repeated interest in your website content (not necessarily your product or services) and are likely to become your customer. Simply put, they have become the hand-raisers from your potential customer pool. However, remember that MQLs are not ready to buy, but they will respond to strategic nurturing. SQLs, on the other hand, are further along in their buyer journey and are sales-ready. They fit perfectly into your buyer persona profiles and are likely to talk with a sales rep.
One of the defining differences amongst these two is the readiness to buy. 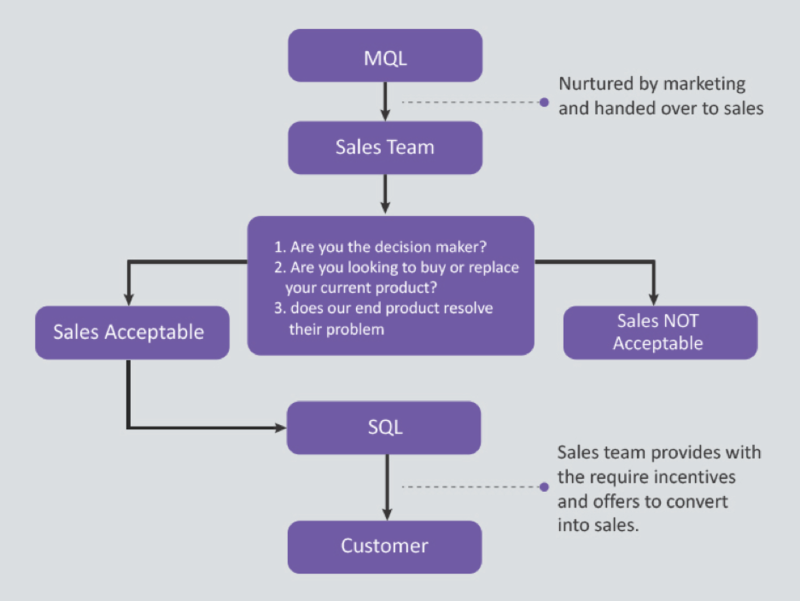 An MQL is most likely NOT ready to buy your product today, but an SQL is a qualified lead which can be approached by your sales team immediately. The primary difference between MQL and SQL is that an MQL is a visitor who is aware of their problem while an SQL is a lead who knows that your product may be the solution to their problem. The buyer’s journey is typically made up of 3 stages: awareness, consideration, and decision. Each of this stage also represents qualification of leads. At the awareness stage, you are dealing with a lead. When the lead starts considering your product, your potential buyers have transitioned to MQLs. Finally, when the leads start looking at your product/service as a solution to their pain points, they have become a sales qualified lead and are ready to be approached by your sales team. So, what is your first step towards knowing when to tell your salesperson if the lead is sales qualified? To analyze conversion from MQL to SQL correctly, you need a strong relationship between the two teams. Knowledge about target markets, customer profiles, and behavior shared between sales and marketing will help you in pinpointing which leads are still to be nurtured and which are ready to go through your sales process. What does the ideal lead look like? Why are some leads disqualified at the end? Which content pieces or how many of these pieces have successful leads consumed? Which referral source has the highest closing rate? This logically brings us to the next question: how do you combine this knowledge to skyrocket conversion rates to ensure you maximize resources? Let’s get one thing straight. Not every lead is sales-ready. But, leads can be nurtured. If your marketing team starts sending every inquiry to the sales team, you will only waste your sales team’s time which makes for a not-so-great customer experience. Sometimes, those leads are just students who want to read your ebook for an assignment or to study for a test. Sometimes they can be job seekers who are frantically looking to gather as much information as they can. Hence, it is essential to analyze the intent of each lead carefully. And, to interpret this intent, you need to have an effective behavioral yardstick—you need detailed lead scoring metrics. As discussed before, MQLs are the hand-raisers amongst the leads. Meaning, they are more engaged but not ready to buy or talk to a salesperson yet. Hence, you should be careful in choosing the basis, and only high-interest activities should trigger a transition from lead to MQLs. For example: revisiting product/services spec page, the pricing page, reading most of your emails, leaving items in the cart, etc. While most of your time will be spent creating accurate metrics around MQLs, the transition from MQL to SQL is simpler to identify. It might look like signing up for free trials or setting up a discovery call with the sales personnel, or a similar activity. You need to sit down with both the teams and draw the lead scoring metrics to eliminate all the “guesswork” from the cycle. You can make use of your marketing automation software to set up a lead scoring system which assigns a value to each action. These actions might involve website activity, the number of downloads, email activity, or social media interactions. Once a lead reaches a decided threshold, they should be automatically assigned to the sales team. While deciding a threshold seems so obvious, 46% of B2B marketers have NOT set up a lead scoring threshold that will automatically alert or route leads to sales. Strange, right? While your lead scoring system generally will consist of adding up scores, you will benefit immensely if you include negative scoring for specific actions (refer to the graphic above). For example, if a qualified lead has suddenly stopped interacting with your product after signing up for a trial and does not respond to any emails. Organization level: At this level, you are asking fundamental questions like whether or not the lead fits into the buyer personas you have set up. Opportunity level: This is a critical level to qualify leads accurately. Stakeholder level: At this level, you are asking BANT(budget, authority, need, and time) related questions. By now, you know when to tell your salesperson if the lead is sales qualified. When the leads are qualified properly, and strategically, everyone is happy. Customers feel you understand them, marketing teams feel appreciated that their qualified leads were approached correctly and the sales team is happy with lead quality because they sealed the deal. Lastly, it keeps you away from selling to people who don’t want to buy. When do you tell your salesperson that the lead is sales qualified? 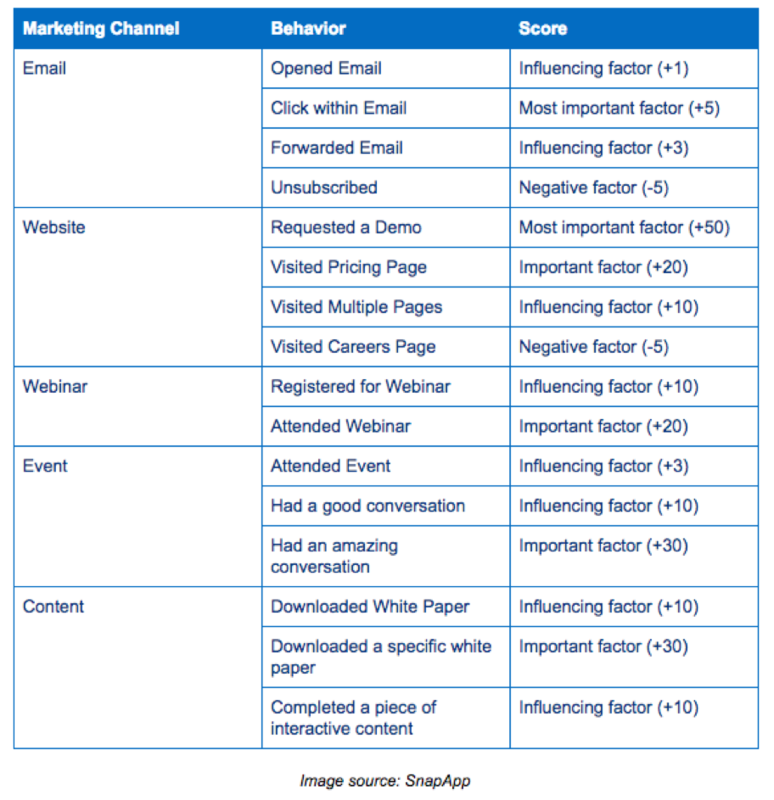 Which is one of the most important lead metrics? Let’s talk about it in the comments section.